Octura .130 flex cable. Reverse wind. 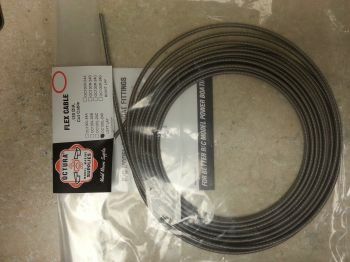 This is a bulk pack of 20 feet of Octura .130 flex cable. Prop Shaft, Drive Dogs and nuts to complete. Click here to learn how to make cables yourself to save some money!